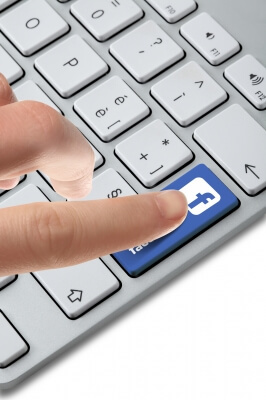 “Deliver quality blog traffic with FB group discussion” wills be a topic for our tip today. I know this tip may not a new idea for any experience bloggers who has older age of internet business blogging but I could promise that this tip will be useful tip for any newbie bloggers who less experience with social media strategy. Moreover, I promise that FB group discussions are important and powerful way to deliver quality blog traffic and engage readers effectively. As we could know Facebook is one of potential social media platforms which there were many people are interested around the world, especially Cambodian teenagers. I will not talk about people in bigger countries of world who are currently using Facebook as social networking tool but I just use a small country as my example. You know? A lot of people in Cambodia like Facebook, especially teenagers because sometime they skip their class because they are talking with their friends on Facebook. Therefore, if your audiences are living Cambodia I will recommend Facebook as potential way for you to deliver quality blog traffic to your personal blog, offered, or anything else such as products offers. Well, It just small country which have around 15+ millions people as whole population of this country but 60% -70% of whole people are owning and using Facebook every day. Also, we did not yet talk other bigger countries who have hundreds billion of population such as India, US, UK, China, and other countries which bigger than Cambodian. Absolutely, there were billion+ users are using Facebook every single day. If you could communicate and engage those users thus you will deliver quality blog traffic effective to your personal blog. Okay! Those all for me thanks, right now please back to our topics. As many bloggers got to know this Facebook has many features for internet business blogging monetizing such as a FB fan page which way increase more able to engage with audiences and customers by create a business FB page and release to content marketing to subscribers of new updated FB page posting. But since last year Facebook have released a new useful feature call “FB Group Discussion” which it could deliver quality blog traffic effectively, especially available for free to every user. Create your own FB group and invite some friends who interested to related topics of discussion and strive to increase group as many as possible you can do it, you have promoted your FB group through sharing into your time and ask people to join it. Remembers, the more you could Increase FB group members, you increase the ability to deliver quality traffic effectively via FB group. Yeah, it’s just an easy way but it is more potent and effective way to engage more audiences than just sharing only timeline with few friends, colleges, and families. Additional benefit is we could broad out networking build stronger relationship as well as engage the right target audiences since members who join the FB group interested in the topic of discussion and ability to invite others to join with them as well. 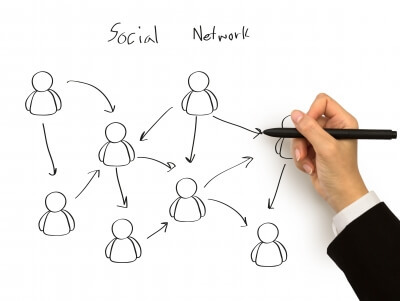 I am proof that I have created a strong social relationship and engage well my audiences in the FB network but I proof that I have a large networking with my Facebook profiles. I have around 2k+ FB fans who subscribed my Fan pages. I have more 1+ million users who could see my content marketing whenever I posted It because have joint more 30+ FB group discussion related to my topics and each FB group has around 1k+ members. Whenever I posted or shared anything in all those groups unless 100k+ people will see my post and at least 500+ clicking which I could get sharing post. So, I could notice that it effective way. How about you? Thank you very much, Facebook! You gave me one more potential way to engage with other people and more ability build social relation, especially I could alert those people about some evens such birthday, workshop, and my content market offering. You know? I never try any automatically social media marketing tools because I feel like Facebook gave me enough ability to scheduling, planning my content marketing, and as well as deliver quality blog traffic effectively via the event creation. Set up an even in the FB group about your post scheduling and invite some members to attend that event is a good idea to engage with social media with pressure thus we gain the benefit from access to the real need of readers. Please imagine that I deliver a content marketing call “Reduce blog bound rate with simple but effective way” as title via my oven and have put some brief of benefits from reading this post in detail of the FB even publishing, especially I set Monday next week as the deadline. Moreover, I have putted my personal blog url in celebrated place. I know, it has two outcomes for me (bad or good). If you interested in my even you will join and wait for the post was published on next Monday, especially you could enjoy some older post because I have left my blog url in even celebrated place. Addition benefit is you may subscribe my blog or FB fan page before the event was published because the older post have engaged and gave you what are interesting. But if you don’t like this just skip or click decline this event invitation. Never mind, I need only my target audiences who want to read my tips so I just let you go and sorry to make you noisy with my even. Kimsea is owner and found of Basic blog Talk, He was a blogger for two years ago. I love write, reading, listing, and talking about basic blogging tips. Also, I am an active blogger who always guest post and comments, we could connect together for successful blogging career. Can you tell me if anyone likes my page on Facebook then how it will be beneficial for me to get traffic? Well, Faisal! About every blogger wants to increase more active blog community and whenever you have people like you page mean you being get a large engagement of audiences. And there many more direct and indirect benefits from this engages depend on your social media strategy goals and objective. I am so sorry about that. I couldn’t explain you all benefit but just remembers what is your goal, why you are using social media? Before your idea share about Facebook Group discussion I was unaware of this. After that I join plenty of groups on Facebook. Now I am getting a nice social media traffic and loyal readers. Thanks for sharing a nice and informative article. Congrats on those huge Facebook Fan Page numbers!!! Super tips here. Engage, share, help and you can boost your blog traffic quickly through Facebook Groups. I see some posts on my gifting blog generate 40 to 50 views normally, but when I post to FB groups I see 140, 150, or more views. The power of community. Ryan Biddulph recently posted…Do You Allow People to Yap on Your Blog? Thanks for commenting Ryun! How are you today? I love your post lazy blogger and I working well with this tips. The secret of driving massive traffic from the social media networks like Facebook has been finally exposed in this article. One can really take advantage of the social media networks to drive massive traffic to his blog by following the guides you shared here. thanks for sharing such a wonderful post. Thanks for reading and commented post! I wish to see you again here Nwosu..